Competition, oversupply, and unpredictable weather has caused the price of wild berries in Maine to hit a 30-year low. Another wild blueberry season is wrapping up on the east coast of the United States, but growers aren’t happy. The harvest in Maine was down 50 percent this year, due to summer drought and random freezing temperatures, and the season ended in late August, which is earlier than usual. For an industry that is embedded in New England’s culture and has even been memorialized in children’s classic literature (the 1948 Caldecott Honor-winning picture book by Robert McCloskey, ‘Blueberries for Sal’), it is painful to see it crippled by competition and price drops, irregular weather patterns and fungal disease. The blueberries grow wild, as the name indicates, in fields called ‘blueberry barrens’ that stretch to the horizon in Maine’s rural Down East region. 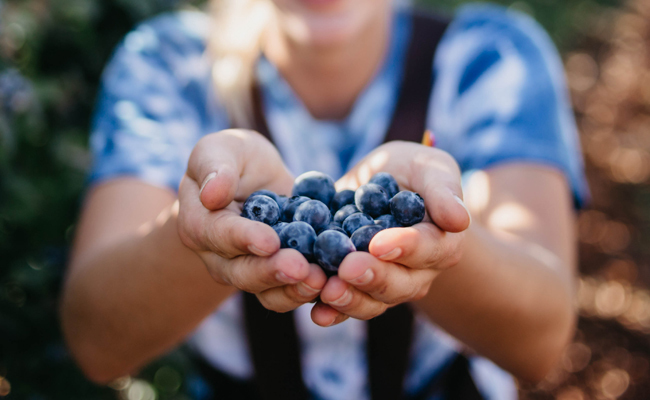 While the plumper cultivated blueberries harvested in states like New Jersey are planted and grown as crops, harvesters of wild blueberries tend to a naturally occurring fruit and pick it by hand and with machinery. The issue really has been that we have had several good years of very high production. We are a victim of our own success. We were increasing productivity faster than the markets could bear the fruit, and we have competition that we haven’t had before. Other problems include poor pollination; struggles with a fungal pathogen called mummy berry disease; and financial stress among growers leading to 5,000 fewer acres being harvested across the state this year. Despite these challenges, some growers remain hopeful that the glut in the market will resolve itself this year — a silver lining, one might say, to the low yields of the past two years. And demand will always be there, since nobody is going to lose their appreciation for wild blueberries; there are few foods as staggeringly delicious as a handful of the sweet, tiny berries. As shoppers, it’s a useful reminder that we can do our part to support this domestic industry by buying wild berries instead of exotic imported fruits, like açaí, moringa, and star fruit. Let’s buy what’s grown on our own soil to nourish our bodies whenever possible. I learned a lot from this share, Thank U.